Manufactured by Preferred Deck Systems, LLC. In the Valley of the Sun for over 14 years. 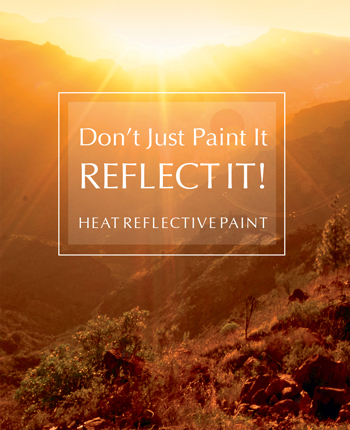 This infrared pigment technology was first developed by the military in Desert Storm. Initially, tanks were easily detected by the enemy using simple infrared equipment, since the metal tanks heated up faster than the surrounding desert. 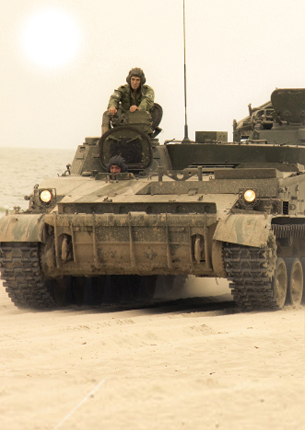 After tanks were painted with heat reflective paint, they blended into the landscape. Today, this same successful technology is making its way into other industries. Black or White? Total Solar Reflectance (TSR) sounds confusing, doesn’t it? But the concept is simple. For instance, on a scorching hot summer day do you wear Black or White? White, of course. Why? Because Black absorbs most of the hot sun’s rays while White reflects them. There – you now understand Total Solar Reflectance! So, White has a much HIGHER TSR value (up to 95%) than Black (5%). This graph shows how Reflecto Seal compares to a “Standard Paint” in the exact same color. 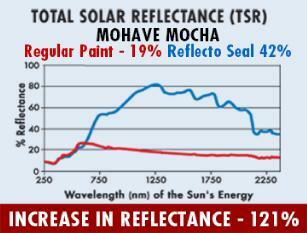 The Reflecto Seal TSR value is much higher, and therefore has an increase in reflectance by 118%! It’s pretty simple - higher reflectance means cooler surface temperatures. 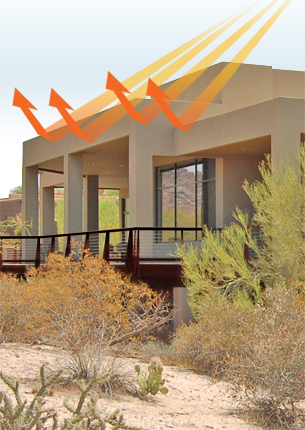 With Reflecto Seal, select darker colors without sacrificing reflectance and energy efficiency.